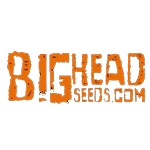 Big Head Seeds - Trippy Gorilla. Free US delivery. Feed this lady well and you will be rewarded with a jackpot of scissor-jamming, resin laden, dense buds. 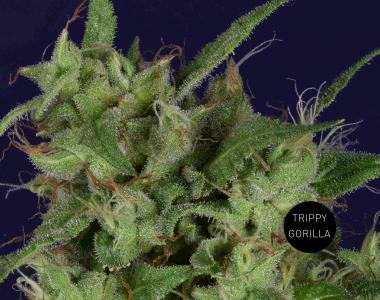 Her Sativa dominant effects are swift, uplifting and energizing. Relaxing, euphoric waves through the body can, if desired, be taken further until you stick firmly to the couch with a huge grin fixed upon your face. Pine and citrus mix for a pleasant taste and aroma. Trippy Gorilla from BigHead.